You can color code each project ie make all the contents of a project the same color. This can make it easier to visually sort your dashboard. 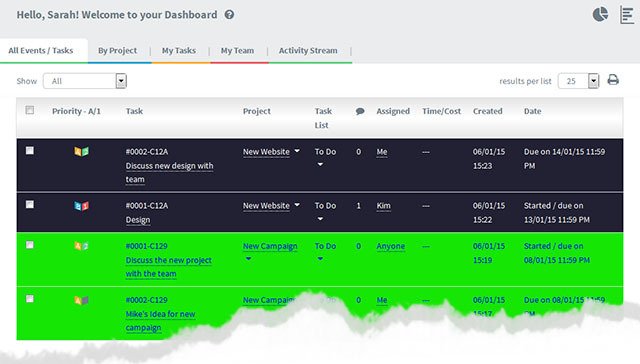 You might want to assign a project color to denote importance or proximity to a deadline. Or you might want colors to group several projects. And so on. The choice is yours. 1) Select the project and open to the Options tab. 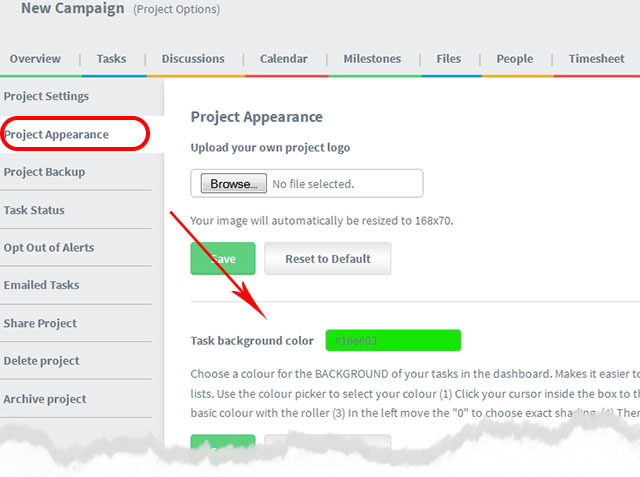 2) Look in the Project Appearance tab (see picture below). It may take some time for these color changes to be seen throughout your Dooster. (It’s a caching issue and is necessary for other parts of the tasks screen to remain responsive). However if you open and edit a task you will see it in the new color. (Note for technical people: This is because you are forcing that individual task to regenerate it’s cached version).